Scientists from A*STAR's Institute of Medical Biology (IMB) and Stanford University have found strong evidence that Wnt signalling is a crucial component in the maintenance of hair follicle stem cells (HFSCs), challenging long-held beliefs about HFSC maintenance and growth. By tweaking Wnt signalling, researchers can now culture HFSCs more effectively to screen for compounds that can stimulate hair regrowth, laying the groundwork for future hair regrowth therapies. Hair plays an important role in skin stability by anchoring the epidermis to the dermis, and also helps to regulate body temperature. Hair stem cells can also contribute to wound repair, and some skin cancers are thought to originate from hair stem cells. Hair loss is one of the most common skin conditions – within Asia, the reported incidence of pattern hair loss is up to 73 per cent, with prevalence increasing with age. Common causes of hair loss include hereditary conditions, such as male pattern baldness, and diseases such as alopecia areata, an autoimmune disease which causes the immune system to attack hair follicles, leading to patches of hair loss all over the body. Studies have suggested that hair problems, such as hair loss, hair tumours and hair greying, are caused when our supply of HFSCs is exhausted. HFSCs enable us to maintain the amount of hair we have. 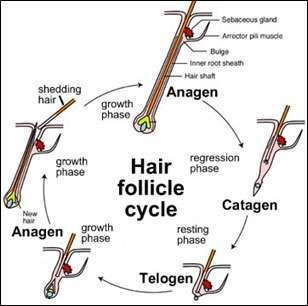 They give the follicle its regenerative capacity, allowing it to cycle through the three phases of rest (telogen), growth (anagen) and destruction (catagen) throughout our lives. HFSCs remain dormant during telogen for a few weeks, before proliferating during anagen. 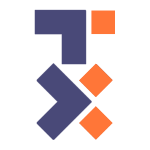 How they retain their stemness, or ability to self-renew and differentiate, while keeping themselves from proliferating during the telogen phase, is still largely a mystery. Now, researchers at IMB and Stanford have shown that Wnt signalling is in fact crucial to this process. The finding overturns the previous assumption that Wnt signalling has a negligible impact on the maintenance of HFSCs, and is only critical in activating their proliferation for hair growth. Unlike most other tissue stem cells that are dependent on sustaining signals from adjacent niche stem cells, the researchers found that HFSCs can maintain their stemness and growth potential by producing their own Wnt signals. Disrupting Wnt signalling caused the HFSCs to lose their stemness, with the hair follicle arrested in the telogen phase and no growth observed. This mechanism of self-maintenance is relatively novel in the field of stem cells, and the researchers were also the first to demonstrate the presence of this mechanism previously in another part of the skin, the epidermis. The researchers further found that BMP signalling could act as a control for Wnt signalling, which is crucial as other groups have shown that uncontrolled Wnt signalling could prompt HFSCs into early differentiation and the hair follicle to enter anagen prematurely, causing hair problems. Balanced interaction between the two signalling pathways enables HFSCs to remain dormant until it is time for the hair follicle to enter anagen. IMB Principal Investigator Dr Lim Xinhong, the study's lead and corresponding author, stated, "We study basic skin biology in the hope of developing treatments for common skin problems like hair loss. By using cutting-edge techniques that enable us to study HFSC behaviour with high sensitivity, we have shown for the first time that Wnt signalling is required for HFSC maintenance. This reinforces the idea that safely manipulating Wnt signalling may be a crucial part of hair loss treatments." The increased understanding of the underlying mechanisms of the hair growth cycle will pave the way for development of hair regrowth therapies which tap on the regenerative power of HFSCs. Most available hair loss treatments focus on preventing or decreasing hair loss, with no existing treatment clinically proven to stimulate hair regrowth. Compounds, particularly those which have already been established to be Wnt activators, can now be tested against cultured HFSCs to see if they do stimulate hair regrowth. The scientific community may also be able to culture HFSCs more efficiently by tweaking Wnt signalling to the optimal levels. Professor Birgit Lane, Executive Director of IMB, stated, "Hair regulation is an important aspect of our skin health, with implications for our overall physical health. This study has provided valuable new insights into hair follicle stem cells and their underlying control mechanisms, and paves the way towards the development of therapies for the many people around the world who are afflicted by hair loss."